How Important is the Short Term to Long Term Investors? How Important is the Short Term to Long Term Investors? How Important is the Short Term to Long Term Investors? Market State 7A – (2 days) Transitional/Bear Market State: The Portfolio Thermostat has been in a Transitional/Bearish Market State for the last 49 trading days, though it has been in a “Transitional” market environment since August 20th when the Portfolio Thermostat shifted out of a Bullish Market State. The Market States “A” Series (7A, 8A, 9A, 10A, 11A, and 12A) denote Transitional/Bearish Market market environment, following one of the 5 bullish - Market States. Confirmed Bearish Market States follow the A Series. Canterbury Volatility Index (CVI 89) – Bullish: Volatility has been decreasing. The large daily swings in value of 1.5% or greater (up or down) are not as frequent over the last three weeks as they were following August 20th. The Overbought/Oversold indicator is currently 60% Overbought (Neutral): An overbought reading of 95% or higher is considered to be an extreme level. 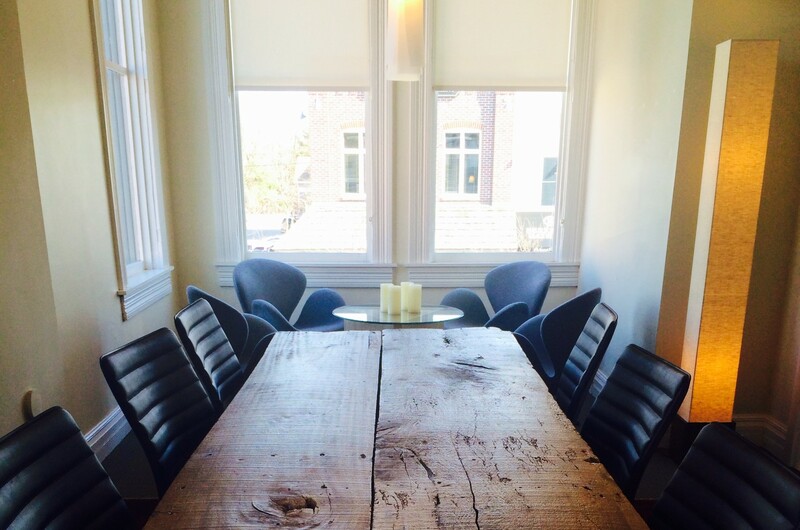 How important is the short term to long-term investors? Answer: Very Important. Short-term returns and short-term decisions are the determining factors of a long-term investment program’s success or failure. Markets and portfolios are liquid and will fluctuate in value based on the supply and demand for the underlying holdings. An investor, though, will only see actual growth in his or her investment accounts on the day the portfolio’s dollar value registers a new high, which is why risk management is a crucial component to long-term success. The smaller the portfolio’s downside fluctuations, the more likely the portfolio is to register a new high in value in a shorter time period. Large declines require even larger percentage gains to register a new high in value. A 15%, 20%, or even greater decline may take years to recoup losses and set a new high. Poor risk management will eventually lead to poor portfolio performance. What is NOT important about short-term returns? The S&P 500’s October advance was the largest monthly gain seen in the past four years. The advance came off the September 29th low of 1872, which represented an 11.08% increase. The sharp advance had followed the worst quarter (the third quarter of 2015) of the last four years. However, sharp declines are typically followed by large kick-back rallies, like that of October. These kick-back rallies are typically soon offset by an emotional sell-off (please see Chart 2 for an example). Therefore, parabolic short-term advances are NOT important to long-term investors. The only advance that matters is one that registers a new high in your portfolio. The only decline that matters is one that exceeds a normal correction (10%). A “correction” is measured by the spread between the portfolio’s peak value and the following lowest market value and is considered to be random market noise. What is the net result of the market’s gyrations since August 20th? After the wild up and down swings in the markets’ recent behavior, the net result is a return of the S&P 500 to the same level it was at on August 19th (one day before the Portfolio Thermostat switched to a Transitional/Bear Market State), which means that the all of the fluctuations below the highest peak value were just random market noise. Interestingly, no other “major” market indexes have been able to rebound back to their August 19th level, while no major market index has regained the decline from the previous peak. There has been a lot of discussion about whether the current market is most like 2008 or 2011. In 2008, the first few months of gyrations later morphed into a full-fledged major meltdown, while 2011’s turbulence began with a very sharp decline and extreme volatility only to whipsaw and eventually put in a new market high. 2015 is neither 2008 nor 2011. It is its own market environment. Although each period’s activity look similar, the markets’ underpinnings now look very different from those of the other two periods. Let’s assume that the end result of the current bearish environment will play out similarly to 2011 by putting in a new high after only 5 months. This is one of the best case scenarios. However, even with a best case scenario of 2011 instead of 2008, does that mean we are out of the woods? Unfortunately, no. Sharp advances are not characteristic of bull markets. 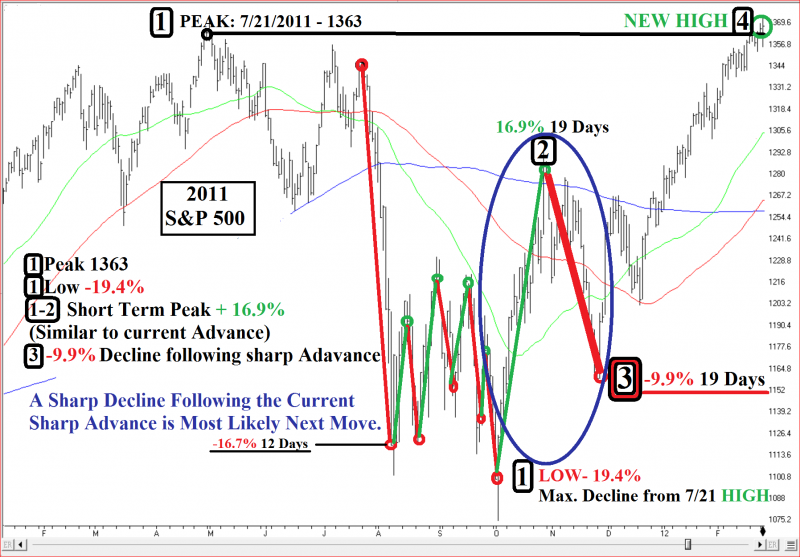 Advances like those in October typically occur in bearish environments. It could eventually work itself out, put in a new high, but we should not expect it to happen soon. 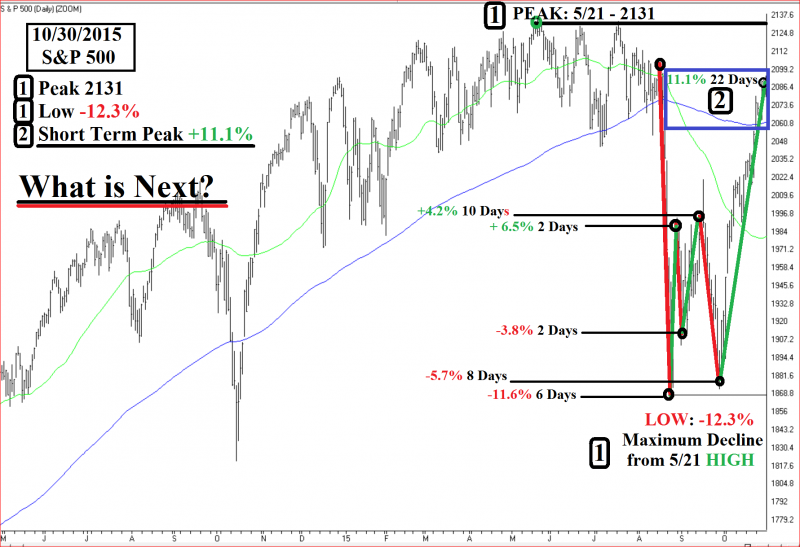 Chart 1 shows the S&P 500’s recent price action, including the rally in October. Chart 2 illustrates the sharp decline that typically follows a bear market state rally (at #3). 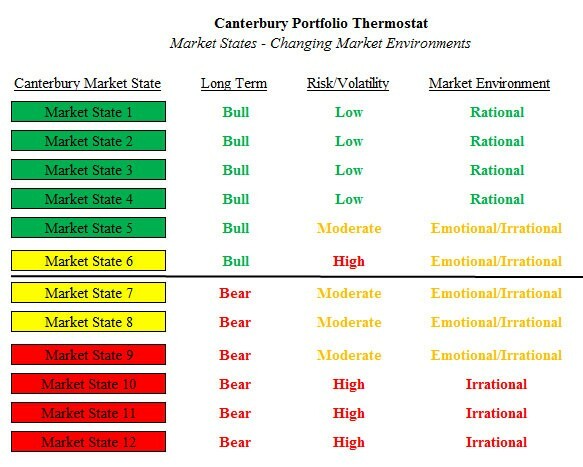 The Portfolio Thermostat’s short-term objective is to maintain a stable and efficient portfolio through all market environments – bull or bear. An efficient portfolio should maintain daily fluctuations to 1% - 1.25% (up or down) following an adjustment in ETF holdings to match the market environment. The maximum decline, from an efficient portfolio’s peak value, should not exceed 8% to 10%, with rare outliers in the 12% range. 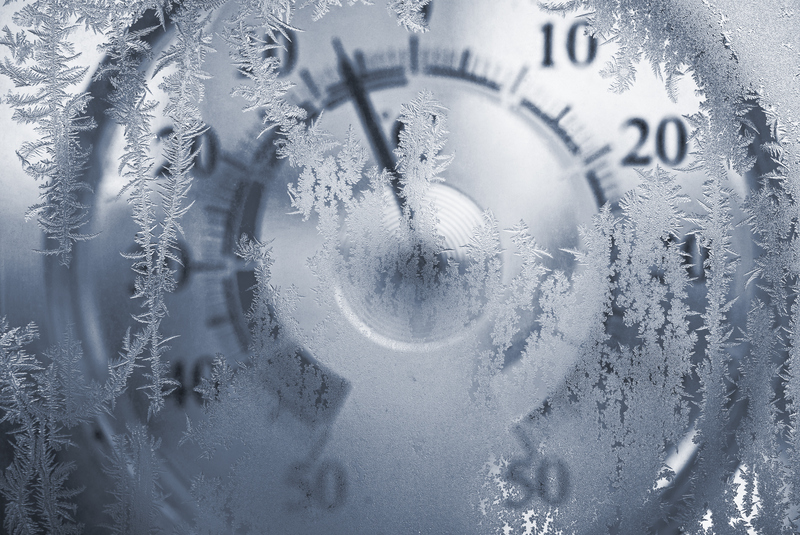 The Portfolio Thermostat has maintained the short term objective of low daily fluctuations. The last day the portfolio had a trading day outside the 1% – 1.25% normal daily fluctuation range was on 9/1. In contrast, over the last 43 trading days, the S&P 500 has had 11 outlier days exceeding 1.25%. The Canterbury portfolio has limited the maximum peak-to-trough decline to a normal bull market correction of 10%. Bear market rallies occur on a random basis. 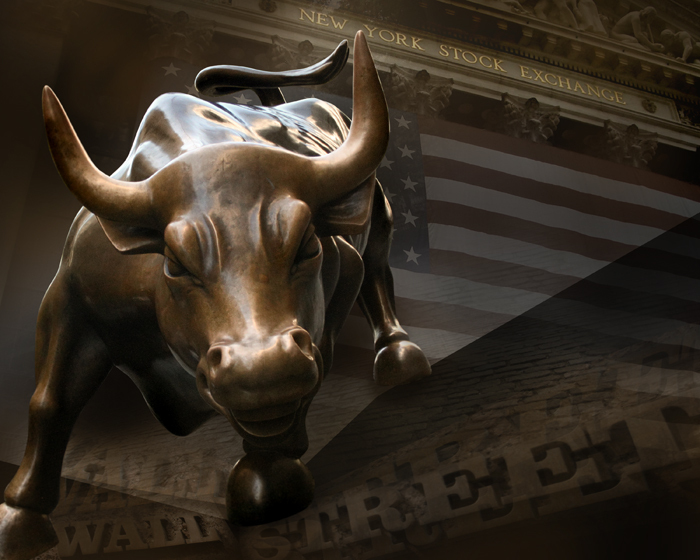 There is no reason to believe that the major markets will hold their short term gains. Expect the short term markets to look very different, from what we have seen over the last month. A few weeks from now and expect continued stability from the Portfolio Thermostat as the markets either confirm a bearish market environment or a return to a bull market. In summary, the Portfolio Thermostat is doing what is needed and expected.